PLANER GAGES by Suburban Tool, Inc. Body and slide are hardened and ground alloy steel castings. Wide body for stable operation. Beveled construction eliminates side play and provides accurate alignment and parallelism. Multiple tapped holes in the slide allow for attachment of extension nib or other accessories. 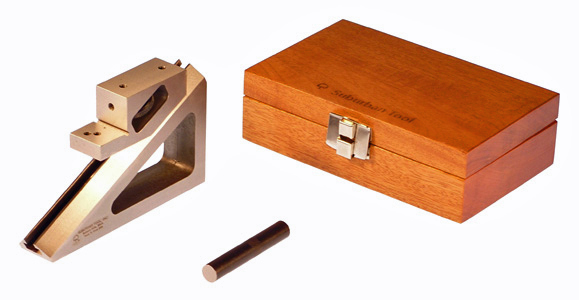 3" extension nib and fitted wooden case included.